Drip. Slosh. Drop. Plop. Has this become a familiar sound? You may recognize it if you work around heavy machinery, transformers, or in any mobile outdoor environment. 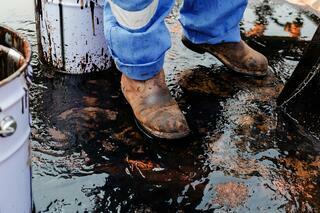 These industries are no stranger to oil leaks and spills. Even small spills can present big issues. Problems can range from slip and fall hazards to environmental concerns. Whether it’s a major spill or a persistent leak, discharged oil can create an environmental catastrophe. We usually hear about the large 168,000 gallon spills like the 2014 Galveston Oil Spill or the 2010 Deepwater Horizon accident. But, unreported small leaks and spills that occur over time have the greatest impact on our environment. Of the tens of millions of gallons of oil that enter our waters every year, only 8% is due to tanker or pipeline spills! The other 92% is mostly due to persistent leaks or operator error. Most of these contaminants enter our environment from industrial and commercial facilities. Then, they threaten our health and safety. Oil spill cleanup experts report that 80% of all hydrocarbon spills happen on land due to vehicle or equipment failures. Sound unbelievable? Remember that equipment has a tendency to leak off oil, even if it’s in perfect working order. A major source of oil leaks and spills are automobiles, heavy equipment and recreational boats that leak off oil. This oil collects on asphalt. Then, the next time it rains, it finds its way into storm drains and our waterways. That’s when a simple leak can turn into a monumental problem. Whether oil and fuel reach our storm drains or nearby soil and waterways, it can have devastating effects on wildlife, pollute our environment and delicate ecosystems and impact human health. What are your oil leak hotspots? Of course, that will vary on your line of work, but there are a few common places that oil control is an ongoing issue. Worksites such as electrical substations, power plants, refineries and marinas are common sufferers. They require regular maintenance to control and contain oil before it can become a problem. Perhaps your biggest culprits are heavy machinery and equipment. This can include—excavators, cranes or front-end loaders. Did you know diesel spills are among the most common spills on highways and in workplace accidents? Transformers are another common place to have spill containment needs. They’re often prone to oil leaks caused by deteriorating gaskets or holes in the radiator fin or steel tank. Many oil leaks can be due to degraded engine gaskets, oil pans, overfill, and oxidized fittings, holes in hoses or seal incompatibility. They’re virtually any place that requires oil and fuel to operate. There are several possible sources of oil discharge. But, most are slow and persistent oils leaks, rather than massive spills. Most of the times you can see oil leaks, but these slow drips can often go undetected. One of the telltale signs of oil or fuel leaks is the dreaded rainbow. This rain stain is often found on asphalt or concrete when it comes into contact with water. If you discover a rainbow around your existing sorbents, it sure isn’t going to lead to a pot of gold. Your current sorbents are not doing their job...and that costs you money. Are you experiencing oil or fuel leaks from any of these sources? Regardless of the source of the leak, your job is to keep them under control and contain them…before they spread. Operating procedures that prevent oil spills. Ensure employees are trained to use proper spill prevention practices when working with oil sources. Aside from storage instructions and regular supervision, provide workers with product recommendations. These can include spill pads, rugs, and booms. A good rule of thumb is to have a visible worksite map that identifies the location of oil and fuel sources. Control measures onsite that prevent a spill from reaching waterways. If workers are not able to quickly find the spill control products they need, they are wasting valuable seconds. Help them work more efficiently by maintaining well-stocked sorbents in known locations for easy access. Have limited storage space? Use sorbents that are specially engineered to take up less space than traditional sorbents. Countermeasures that contain, clean up and mitigate effects of oil discharge. Have you offered workers training on environmental spill clean-up? If they’re unable to stop a leak or spill from reaching a waterway, make sure they are aware of evacuation policies, as well as clean up procedures. Whether they need to employ booms or dams, they need lightweight and easy to deploy options. We know this is an ongoing labor of love for you. 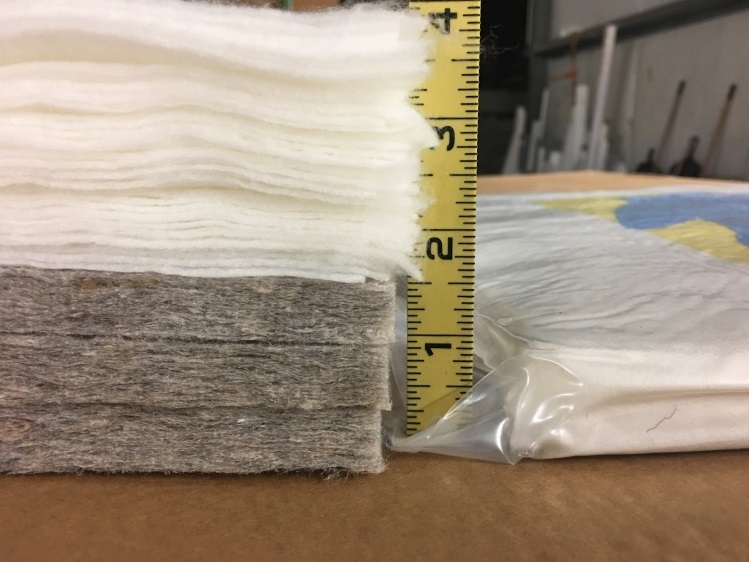 We’re just curious how you’ve been able to do this with outdated sorbent materials. How can you do your job, if your spill products give up long before you do? Did you know that oil spreads 100x faster in wet weather than in dry conditions? 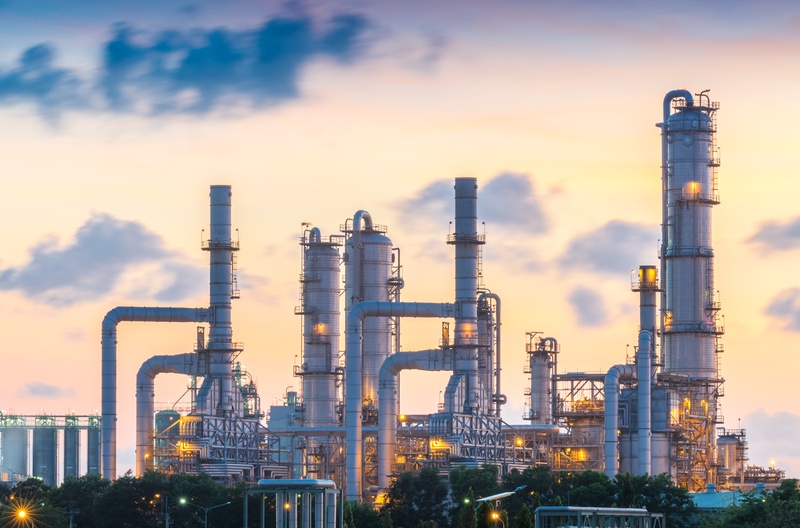 When the first step of oil remediation is to control and contain the oil—that can make for an impossible situation. 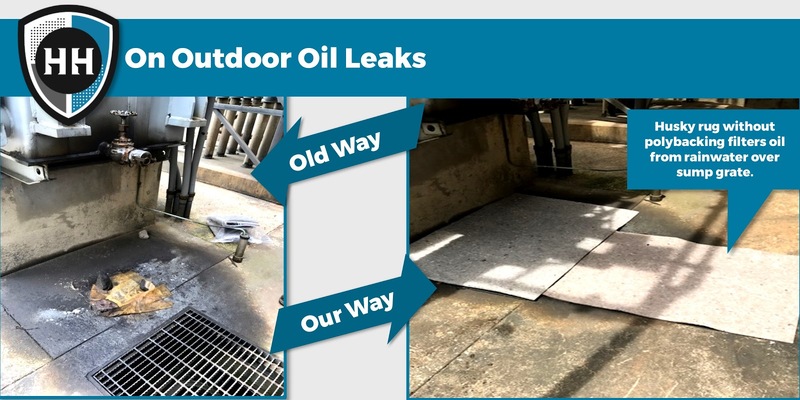 Many spill control products are not designed to perform in outdoor conditions, where rain and moisture are a common factor. It’s like expecting a compact sedan to compete with a four-wheel drive in muddy terrain. It’s not going to happen. Traditional sorbents may work well in controlled conditions, but when is any situation ideal? You need sorbents engineered to stand up to the rigors of the great outdoors, not just the factory floor. How well do your sorbents perform? Old-fashioned sorbents…what are you still doing here? It may be hard to believe, but people are still trying to cleanup these oily messes with old-fashioned sorbents! We’ve evolved leaps and bounds in other forms of technology. We’ve replaced our beloved, but behemoth 1980’s mobile phones with streamlined, handheld computers. We’ve developed a way to see the person we’re talking to on the other end, in real time! We finally figured out a way to fast-forward through those endless commercials to watch our favorite shows. So, why are people still using outdated spill control technology from 30 years ago? Are you one of those people that feel stuck with ineffective materials that simply don’t work? Have you been experiencing some of the same spill control problems, year after year? Ask yourself the hard questions! Are your sorbents ineffective in the rain? Have you found that oil socks are prone to kinks, holes and tears? Are you frustrated with clay chips that absorb rain water and push oil out? Are you tired of lightweight products that can blow away in the wind? 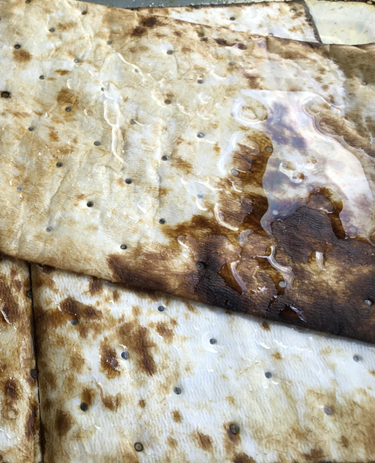 Have you noticed that rain water beads up on the surface of white oil-only pads, creating a barrier to any oil absorption? Do your current sorbents have a love/hate relationship with oil and water? They should. What good is a sorbent if it doesn’t? You want oil to stick (love) and allow water to filter through (hate). Ok, maybe “hate” is a strong word. You just don’t want your spill pads, socks or booms to be attracted to water. They have a job to do and the technology from 30 years ago doesn’t cut it. The effectiveness of old-fashioned spill control products goes right out the window in wet conditions, right when you need it the most. Have you ever noticed that you tend to throw away spill pads that have become saturated with water instead of oil? 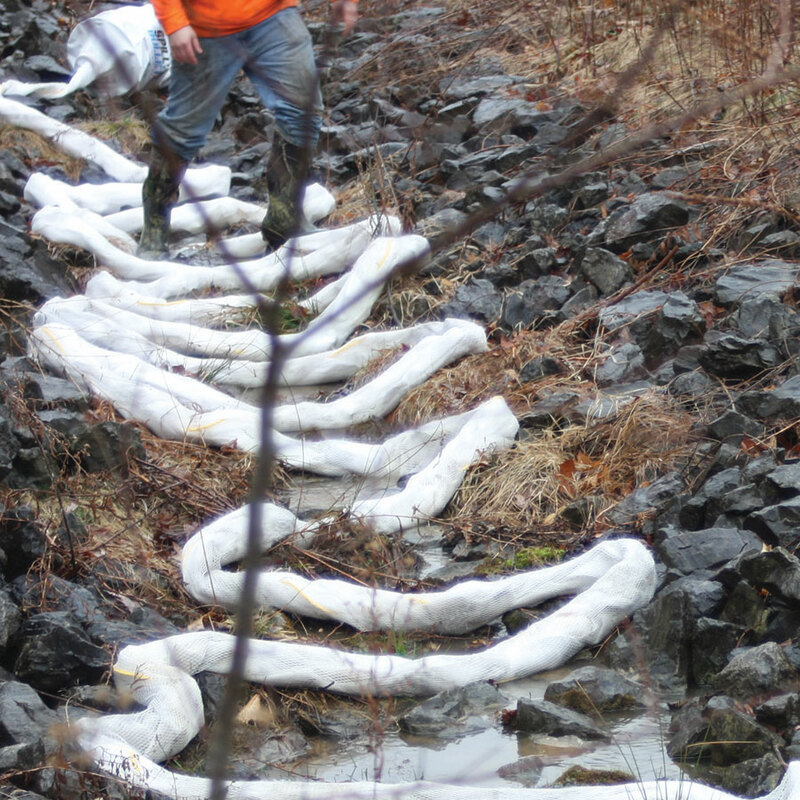 Traditional spill cleanup materials are ineffective in wet conditions. Face it. Traditional spill cleanup materials are inadequate in wet weather. Water saturates clay pellets and grey spill pads, leaving no room for oil to be absorbed. And white spill pads aren’t much better. Water beads up on the white pad’s exterior and forms a barrier that prevents oil from penetrating. Bottom line… you use 3-20x more in material, labor and disposal costs than you had planned. Plus, if the spill gets out of control and runs into waterways—you’re in deep trouble. Would you rather contain the spill? Or call in emergency response? Would you like a better way to manage your outdoor maintenance of leaky machines, pipes and equipment? Are you sure you’re ready for this? Just to be sure, we just want you to answer three simple questions. Are you tired of products that don’t work? Are you ready to cut your spill cleanup time in half (or more)? Would you like reduce your overall spill control spending? If you answer yes to these questions, you’re about to get very excited! We knew there was a big problem one day when we happened to be dumpster diving. Ok, that sounds worse than what it was. We were performing a spill control audit for a customer. So, we ended up in the dumpster to monitor the amount of waste their sorbents produced. We came across spill control materials that contained only about 30% oil, but had been tossed out because they were coated with water. That was alarming. Their current materials were accounting for 70% waste. The more we completed these audits; we found this company wasn’t the only one with this problem. 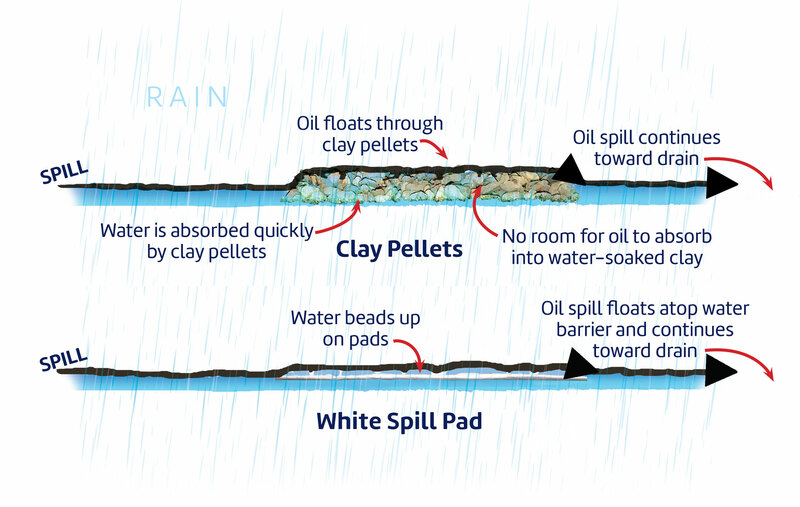 After being asked countless times why traditional, white oil-only spill pads didn’t work in wet weather, we decided to do something about it. An understanding of physics, some industry knowledge and insatiable desire to “fix what’s broken” led us to find the solution. We didn’t hire an outside company to begin the lengthy process of building a prototype. We didn’t waste time on endless meetings and box checking. We went on a scavenger hunt to find materials that would work. The answer was out there somewhere. We just had to find it. We came across a post-consumer material that people were actually paying to get rid of! So, we cobbled up our own prototype and tried it out. Eureka! We found the solution. 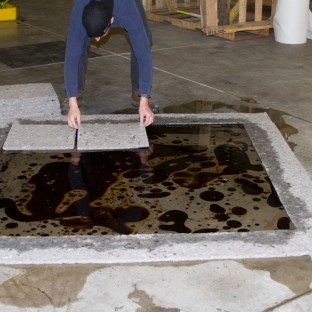 Engineered to clean up oil in wet conditions, Spilltration® products are different. We designed them to contain and trap oil and fuel spills in wet weather. How? Spilltration® fibers grab and hold oil while allowing clean, clear water to wick through. You use less material and save 300-400% on products, labor and disposal costs. We created these products to be Smooshable™. Our method reduces the required storage space by 75-80%. Donny’s dad used to say, “You can’t cram 10 pounds of crap into a 5-pound sack”. Somehow, we managed to “smoosh-pack” our products, so they could fit anywhere. We created a solution to the lack of storage space often found in mobile outdoor applications, where many of our customers work. Without a roof, these worksites are exposed to wind, rain, snow and sleet. Workers needed access to spill control products that can even fit in the cab of their truck. We’ve developed these reusable products from environmentally responsible materials headed to a landfill, reducing our customers’ carbon footprints. We used materials that can be squeezed out and re-used up to 10 times, preventing unnecessary waste. Our customers spend 4x-7x less on average with Spilltration® Products than they did with their wasteful and outdated sorbents. And ours are proudly made here in the USA! We took lightweight, ergonomic materials and designed them in a way that provides 3-10x faster deployment. Meaning you can stop the spill from reaching waterways even faster! Win for the environment and your wallet! After the spill, comes the cleanup. If you’ve ever tried to clean oily surfaces, you know it’s no easy task and often ends up in a bigger mess. So, we’ve developed reusable materials that effectively clean contaminated surfaces and structures, saving you time and money. We understand why effective spill control is so important for your business. You can’t afford to shut down operations due to an oil leak or spill. Having a sustainable response strategy will save you on paperwork, legal fees, fines, material costs, labor hours and production time. Not to mention, it will create a safer workplace and environment to leave your kids. We believe it’s time for effective spill control. If you store, transport or otherwise handle oil, we have your solution. We want to help you minimize waste and maximize efficiency. It’s better for the environment and your bottom line. —Alan B. Houck, CHST, EHS Field Specialist, Brubacher Excavating, Inc. Try Spilltration® Products Today! Click here for your special offer. If you have any questions on finding the right spill control products that meet your needs, just ask. Give us your crappiest job and we will help you find a better way. Tools to Tackle Crappy Jobs…Safely.